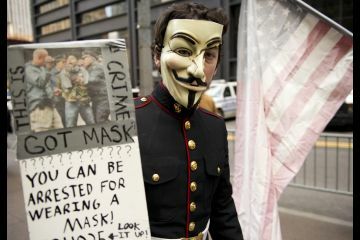 Anonymous Hackers with the Antisec movement have attacked the site of a company that sells equipment to US law enforcers such as the police. Members of Anonymous recently hacked the official site for law enforcement equipment supplier New York Iron Works. Defaced page include the message, “To our fallen brothers Your work has not been forgotten, your skills and teachings has spawn another generation of an elite squander. Like the knights at the round table, we have shared may common interests but let us not forget the game we play. AntiSec is still alive and well,”. The leaked data includes usernames, clear-text passwords and email addresses. The message posted to the New York Ironwork’s homepage called the attack a “tribute to Jeremy Hammond,” the LulzSec member arrested in Chicago on Monday and one of the men responsible for the attack on the intelligence firm Stratfor on December 25 last year. He is facing up to 20 years in prison for stealing the credit card data of 60,000 Stratfor customers and the account information of more than 800,000 of them. Tweet from AnonymousIRC "Do you really think that pulling a Hector to arrest a Jeremy is a won battle? Think again". Shortly after the attack, the group took down the site of Australia's Department of Justice for what the group claimed was a failure to properly support the country's citizens. While writing this news, he site still remain down.